The first trailer for Kim Jee-Woon‘s The Last Stand has gone online. Arnold Schwarzenegger stars as the old sheriff of a sleepy border town who’s called to action when a drug kingpin flees an FBI prisoner convoy, and tries to make his way to Mexico. 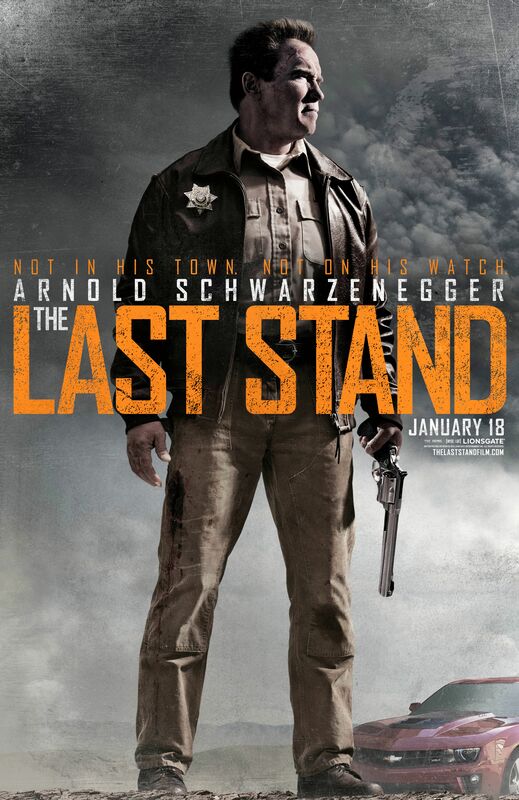 It’s a good premise for nice little action-thriller, but Schwarzenegger seems totally miscast. He’s just not really meant for small movies because he’s a big persona. There’s nothing subdued about him. So when a huge guy with a thick Austrian accent is wandering around a small town like it’s no big deal, he seems horribly out of place. Maybe it will work better in context, and I really like the action on display from Kim Jee-Woon. It’s a nice break from the shaky-cam antics other directors may have brought to the picture. Hit the jump to check out the trailer. The film also stars Forest Whitaker, Eduardo Noriega, Rodrigo Santoro, Johnny Knoxville, Jaimie Alexander, Peter Stormare, Zach Gilford, and Genesis Rodriguez. The Last Stand opens January 18, 2013.